Sir Paul McCartney's campaign to fight 'climate change' by asking people to forgo meat one day a week has received the backing of an acclaimed Hindu statesman. Rajan Zed, president of the Universal Society of Hinduism said that, as well as reducing greenhouse emissions, not eating meat is good for ethical reasons. Zed sez that as eating less meat would help the environment, more celebrities should come out in support of it. Never heard of Rajan Zed? Well, click here for a brief profile. Zed recently criticised wife of Colplay frontman Chris Martin for abusing religion in her blog Goop, after using taglines about "nourishing the inner aspect" before not really posting anything about nourishment, or the inner self. "There are not many deep, spiritual and philosophical thoughts in the blog, which are an essential part of nourishing the inner self. The actress needs to grow-up and stop writing about mundane topics like 'Boots by Gucci', 'Banana Pancakes', 'The Hungry Cat' and 'Tweezerman' — in which she talks about taming the unruly eyebrows of men." So far those in support of MFM number: Kevin Spacey, Joanna Lumley (obvs), Sharleen Spiteri, Chris Martin (duh), Sheryl Crow, Matt Lucas, Ricky Gervais, Richard Branson, Zac Goldsmith and many, many more. It is not known whether famed vegetarian Gwyneth Paltrow supports her husband in the campaign. 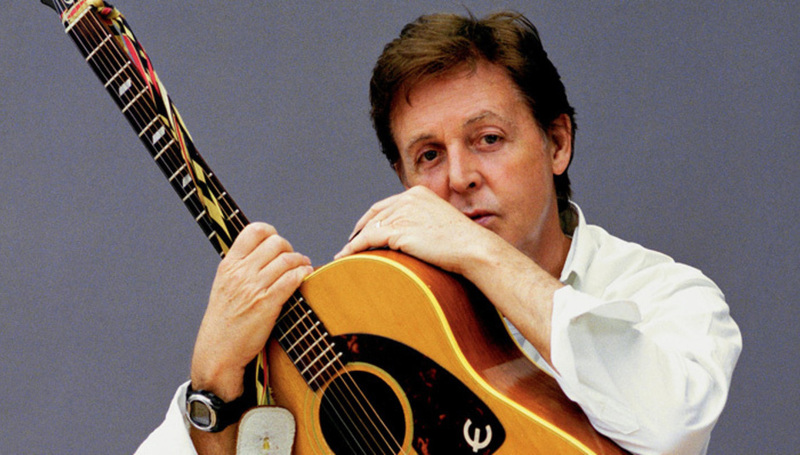 McCartney, famously the brother of Mike McGear, launched Meat Free Monday on Monday, funnily enough. He was at the launch event with daughter Stella and as Yoko Ono. "I think many of us feel helpless in the face of environmental challenges, and it can be hard to know how to sort through the advice about what we can do to make a meaningful contribution to a cleaner, more sustainable, healthier world." "Having one designated meat-free day a week is actually a meaningful change that everyone can make, that goes to the heart of several important political, environmental and ethical issues all at once," he added on www.supportmfm.org,"
"For instance it not only addresses pollution, but better health, the ethical treatment of animals, global hunger and community and political activism." The official website has more information, as well as a lovely shot of Macca's grinning mug on the front page. In other, 'musician trying to make a difference' news, Nirvana bassist and towering colossus Krist Novoselic has announced he is pulling out of the race for Wahkiakum County clerk.